Situation on the ground. Situation in eastern Ukraine remains tense. Intensification of the hostile attacks upon the Ukrainian troops was observed through March 14-16. On March 19, the number of incidents finally decreased. Missing persons. Four hundred and eighteen persons are considered missing in the combat area in Donbas. 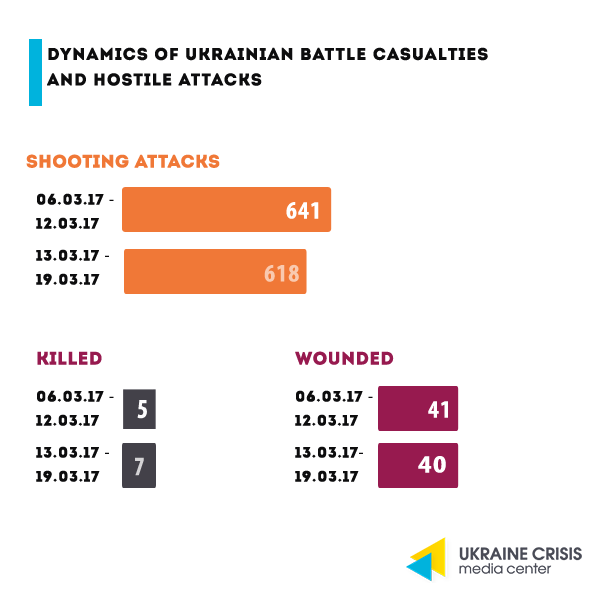 The figures were reported by Iryna Herashchenko, Ukraine’s representative to the humanitarian subgroup of the Trilateral Contact Group, who quoted Ukraine’s Security Service as source for this information. Russia recognizes “D/LPR” “passports”. The Russian Federation recognized “D/LPR” “passports” valid alongside the Ukrainian IDs. The Russian State Duma reported that persons holding the abovementioned “documents”, who are not in the possession of the residence permit, are allowed to stay in Russia for 90 days, same as Ukraine citizens. Referendum on joining the Russian Federation? Leader of the “LPR” Igor Plotnitsky said he did not rule out the possibility of a “referendum” on the “D/LPR” joining Russia. 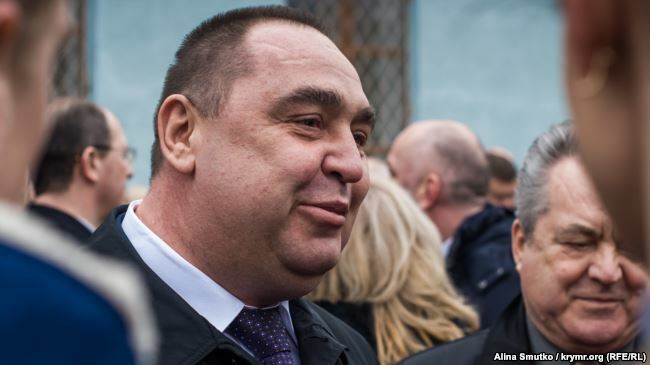 Plotnitsky also said they regarded the decision by the Ukrainian authorities to ban trade with the occupied areas to be “the actual recognition of independence of the self-proclaimed republics”. Integration of the “republics” with Russia. 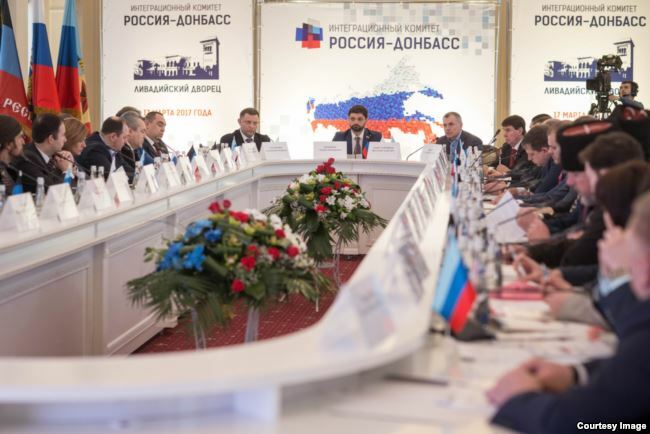 Leaders of the “D/LPR” met representatives of the Russian authorities in occupied Crimea to discuss “the integration of Donbas into the Russian Federation”. 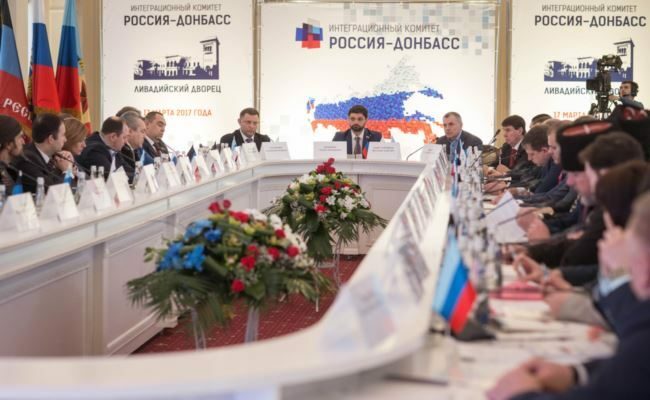 Andrey Kozenko, MP of the Russian State Duma was designated coordinator of the so-called “Russia-Donbas Integration Committee”. “DPR’s” “state border”. “DPR” leader Aleksandr Zakharchenko issued an “order” designating the contact line the “state border” as well as prohibiting to cross the contact line outside of the designated checkpoints. Persons crossing the line have to register with the so-called “DPR Ministry for State Security”. It’s now legal to break into apartments. 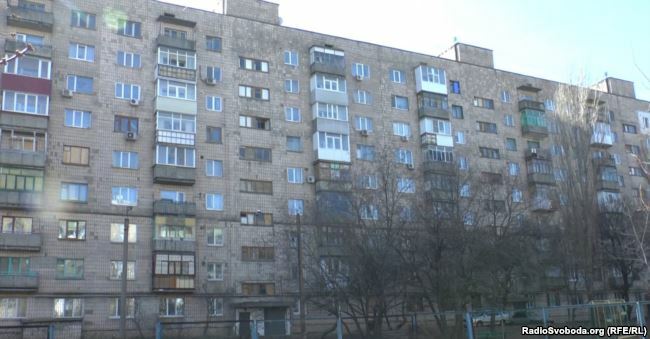 “LPR” allowed entering apartments in Luhansk without the owners’ consent. The excuse the leaders used is the alleged need to repair apartment block houses damaged by shelling. For reference: the active phase of combat actions in Luhansk ended three years ago. National Anticorruption Bureau (NABU) and the audit. NABU is one of the few anticorruption agencies in Ukraine that may become an efficient tool in the fight against corruption. NABU has already proved its efficiency by detaining the Head of the Fiscal Service Roman Nasirov. Last week the Verkhovna Rada (Ukraine’s Parliament) started debates regarding a candidate for the position of the NABU auditor. Apart from the Rada, the government and the President have their respective quotas to select the auditors. Audit is one of the few mechanisms that may result in removal from the office of the incumbent NABU Head Artem Sytnyk. What the standoff is about? On February 23, the Head of the Anticorruption Committee, MP Yegor Soboliev officially suggested a candidate for the post, US lawyer Robert Storch. Storch was selected as NABU auditor through the official competition. However, all of a sudden at the parliamentary session on the same day factions Narodnyi Front and Petro Poroshenko Bloc suggested UK citizen Nigel Brown, who had not taken part in the selection. Who are the candidates? 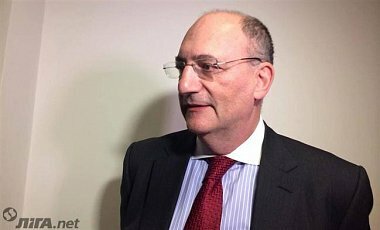 Robert Storch, the winner of the competition, is Deputy Inspector General at the US Department of Justice, Office of the Inspector General. Nigel Brown is a private investigator in the UK. Concerns. Expert community, as well as part of the MPs, raise concerns about the parliamentary coalition lobbying their candidate, Nigel Brown. They say the ultimate goal may be assessment of the NABU work as unsatisfactory and removal of the agency’s head from the office. Brown has not been yet granted any tools or access to the materials, however he has already evaluated the NABU’s work as “mediocre”. Experts consider it being an attempt to impede the work of the NABU. Protests within the expert and international community. Experts of the Anticorruption Action Center conducted an investigation to discover that Nigel Brown was charged with an attempt of bribing a policeman. Moreover, the company he worked for was receiving money from offshore entities of Russian oligarchs Berezovsky and Khodorkovsky. At the same time the US and EU Ambassadors to Ukraine insist that the procedure to form the auditors’ commission needs to be transparent. Thus, Head of the Delegation of the European Union to Ukraine Hug Mingarelli spoke in support of Storch as the candidate earlier recommended by the Anticorruption Committee of the Parliament. Next steps. Parliamentary Anticorruption Committee met three times to designate the auditor. However, the final and legitimate decision has not been made yet. The next meeting of the committee is scheduled for March 29. Auditor selection is on the agenda. 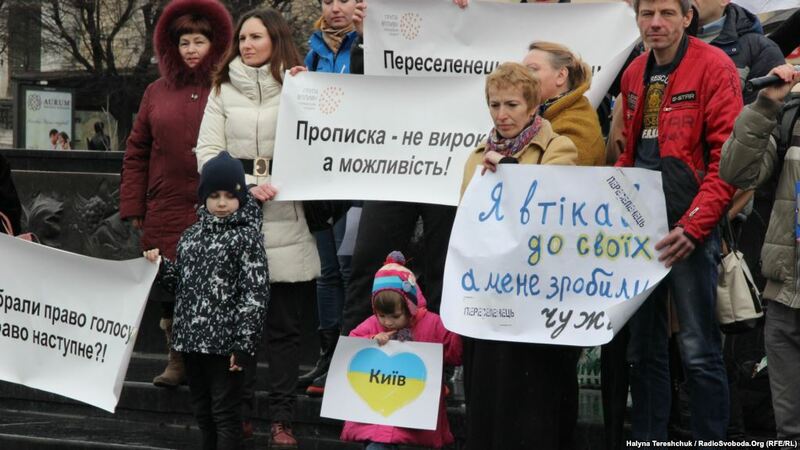 In Lviv on March 18 about one hundred internally displaced persons from Crimea and Donbas rallied demanding their voting rights implemented so they could vote at local elections. Participants of the rally gathered by the monument to Ukrainian poet Taras Shevchenko. The posters read “I’ve been stripped of my right to vote. Which right is next?”, “Residence registration is not condemnation but a possibility” etc. Three draft laws on the right to vote for internally displaced persons have been submitted to the Parliament, however neither of them has been considered so far. According to the Ministry for Social Policy, there are about 1.7 million internally displaced persons (IDPs) from Crimea and Donbas in Ukraine. The IDPs were unable to vote at local elections back in October 2015. The Parliament and the President are ignoring their direct responsibility of initiating the selection of new members of the National Commission for State Regulation of Energy (NKREKP). NKREKP is a key agency responsible for forming and transparency of tariffs. Increase of energy tariffs for households is a number one topic in the current social discourse. Consumers wish to know what they are paying for. If an independent commission is not established and its members are not appointed in time and without political pressure, it would not be possible to win people’s trust. According to the law, the selection committee was supposed to have already started work to ensure that the first composition of the commission is appointed in timely manner. The work has not started though. A series of NGOs including UCMC called upon the authorities to stick to their responsibilities. Opinion polling: is normalizing Ukraine-Russia relations impossible? According to the research by the Ilko Kucheriv Democratic Initiatives Foundation, half of Ukrainians think that restoring relations with the Russian Federation is possible, but only in the long-term perspective and if the following conditions are met: authorities change in the Russian Federation, Donbas is de-occupied, as well as the annexed Crimea is returned to Ukraine. Each fourth Ukraine citizen thinks that normalization will never happen. Thirty-five per cent of respondents support the approach of limiting the contacts to the maximum and cutting all cooperation. Twenty-eight per cent expressed themselves in favor of preserving limited cooperation in critically important areas but not compromising on Donbas and Crimea. Fifteen per cent support the idea of finding a compromise with the Russian Federation at any cost. Thirteen to seventeen per cent of respondents across the country share the idea of the country joining the Customs Union, while 20 per cent think Crimea should not be returned to Ukraine. Ukrainian animation film “Mavka. 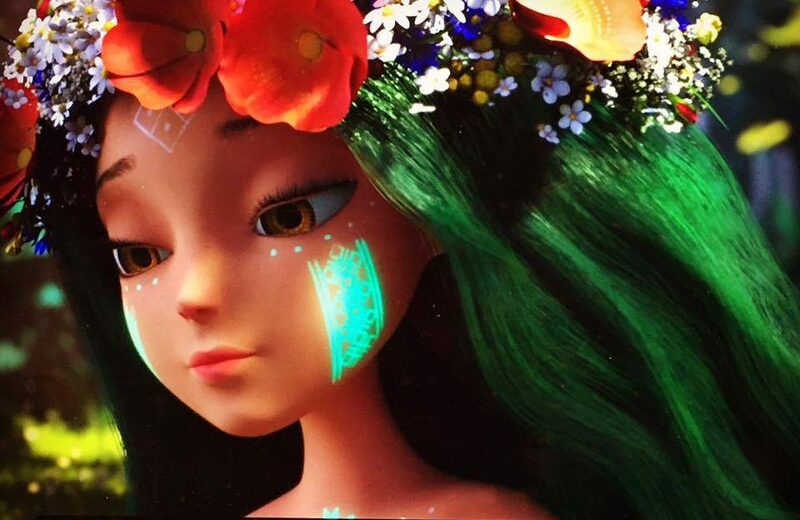 The Forest Song”, which is currently at the production stage, was presented to professional audience at the Cartoon Movie in Bordeaux, France. Cartoon Movie is one of the key European industry events in animation that offers opportunities for co-production and distribution. “Mavka. The Forest Song” is a full-length animation feature film based on a classic novel by Lesia Ukrainka and Ukrainian myths. It is produced by Animagrad studio and Film.UA Group, 30 per cent of its budget is covered by the Ukrainian state. A team of costume historians is working over the project headed by the acclaimed fashion designer Olha Navrotska. “Mavka” team reports that participation in the Cartoon Movie was successful. The film got wide media coverage, there are ongoing negotiations as to the possibility of co-funding of the film. Flashmob “90 years of Ukrainian animation” started on Facebook. Back in 1927 the first Ukrainian animation film was created. It was “The Tale of the Straw Bull” by Viacheslav Levandovsky. The flashmob suggests that participants post their favorite animations with hashtags #90animations #UkrainianAnimation90. Information in English, as well as some of the unique works that shed the light on the Ukrainian animation film school, are available from the project’s Facebook page. 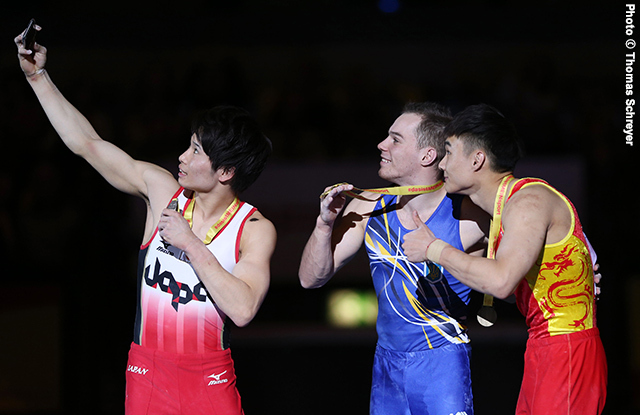 Ukrainian athlete Oleh Verniaiev claimed the men’s all-around crown at the 2017 artistic gymnastics World Cup in Stuttgart on March 19. On the same day Ukrainian female gymnast Diana Varynska won the gold medal in uneven bars category at the FIG Artistic Gymnastics World Cup in Baku. Last week former Ukrainian MP of the “Party of Regions” Volodymyr Oliynyk, who fled to Moscow after Euromaidan, made quite an unusual statement. He said a Ukraine-based friend of his called him saying marijuana is being now grown everywhere in Ukraine. “Marijuana fields are planted amidst wheat and rye fields. Ukraine’s Security Service and Ministry of Internal Affairs are backing the case, and surely are benefiting from it,” the alleged friend told the ex-MP. To remind, sales of narcotic substances is forbidden in Ukraine. No reports came from other sources to confirm the statement of the runaway MP. 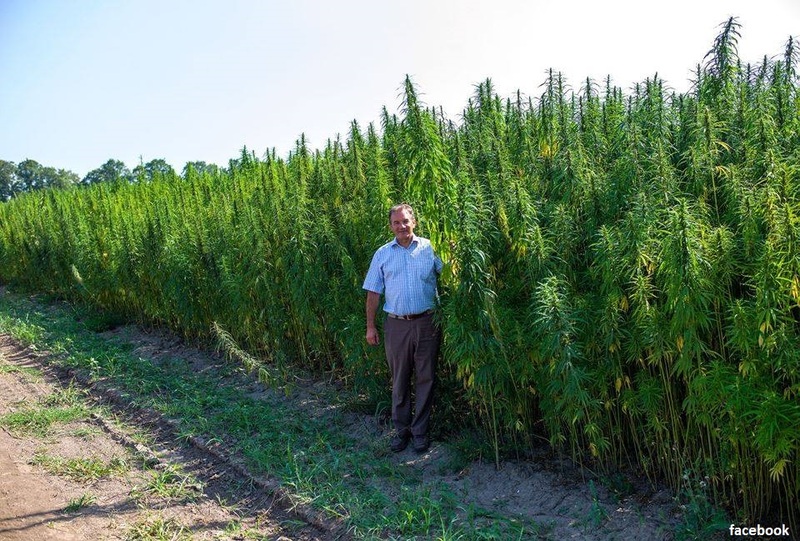 Earlier this week Michel Tereshchenko, mayor of the Ukrainian city of Hlukhiv in Sumy region, stated that the first-ever center of marijuana treatment in Ukraine will be launched in town. According to Tereshchenko, the treatment will be conducted with a special type of cannabis that does not contain tetrahydrocannabinol (the narcotic substance), but preserves cannabinoids that help cure such diseases as cancer, Parkinson’s disease, Alzheimer’s disease, sclerosis etc. Tereshchenko mentioned that the medical center is due to open within the three upcoming months. Negotiations with potential investors are currently on.